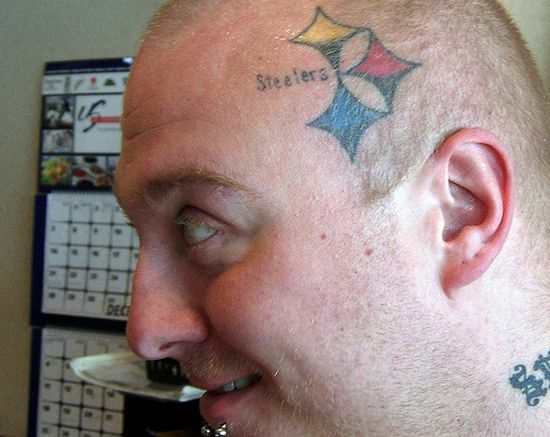 The guy you see with a cool Steelers tat on his head is not a simple tattoo fan. He has an Eagles tattoo on the other side of his head. As you can see, he is wearing one tat on his neck too. I wonder how many tats this guy has on his body! Seems to be a great tattoo aficionado! ← Card suits on knuckles!